The moment of disincarnation, in which the soul was detached from the physical body, was captured by Russian scientist Konstantin Korotkov, who managed to photograph the exact moment of death of a man with a bioelectrographic camera. The captured image shows in blue color the vital energy of the individual to gradually abandon the body, thanks to the method of gas discharge visualization, i.e. 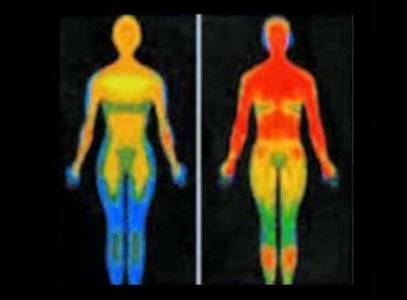 an advanced technique of Kirlian photography. Can the Human Soul Be Weighed? The book “The Lost Symbol” by Dan Brown contains a chapter on some amazing experiments. According to the author, our soul is a material substance which can exist outside the body and can have weight. Therefore, it can be weighed. One of the characters in the book, Katherine Solomon, was able to weigh human soul. She placed a dying man (he had donated his body for scientific purposes) in an air-tight capsule, fitted with very sensitive micro weight detectors. While the man was alive, the scales showed a figure of 51, 4,534,644 kilograms. And after the old man’s death, the micro scales showed a decrease in the body weight. Brown does not specify this difference as a number, but makes a general comment: “This difference, though microscopic, is quite measurable.” This experiment allowed Brown to stipulate that the human soul does exist. Does the soul really weigh 21 grams? Does soul exist? Does it have weight? Does the soul really weigh 21 grams? What happens when a person dies and his soul gets separated from his body?